Rahala/Explorers made its first public appearance at the Dubai Toy Fair on May 22 2006. Rahala/Explorers was launched in Beirut, Lebanon on July 11 2006 under the high patronage of the Lebanese Minister of Culture Dr. Tarek Mitri. 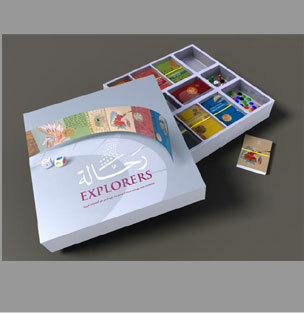 Rahala/Explorers was launched in Muscat, Oman on March 4th, 2007 during Muscat International Book Fair. On the 27th of April 2009 the Rahala Online Store went online, making our product available in more than 170 countries worldwide. To order Rahala/Explorers Board game please use the Rahala online shop.